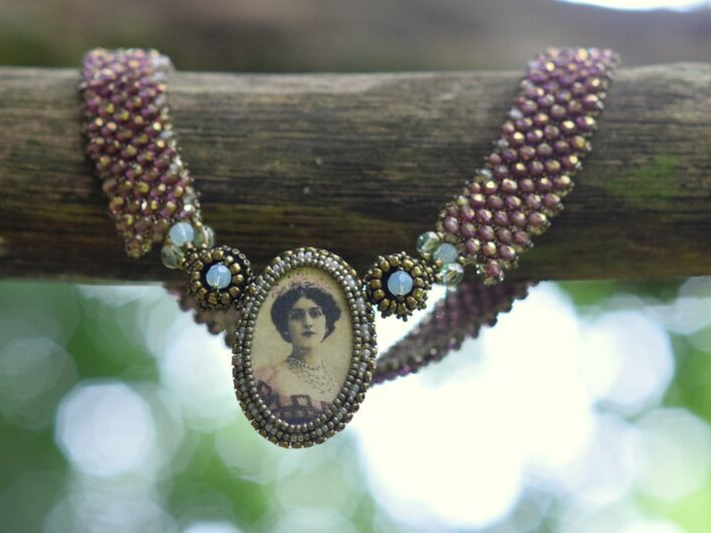 Introducing The Luscious Adornment range. 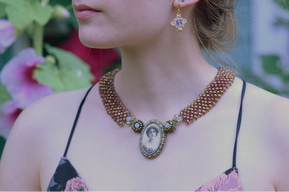 ​A luscious range of crystal and hand bead embroidered jewellery, reminiscent of a bygone Age of candlelight, ballrooms and gorgeous gowns. 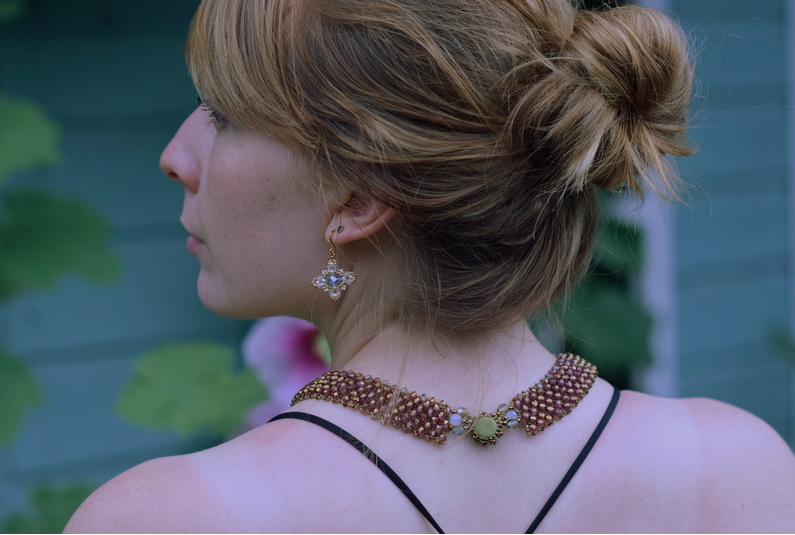 Each piece is hand made from the finest quality beads, crystals, and pearls. 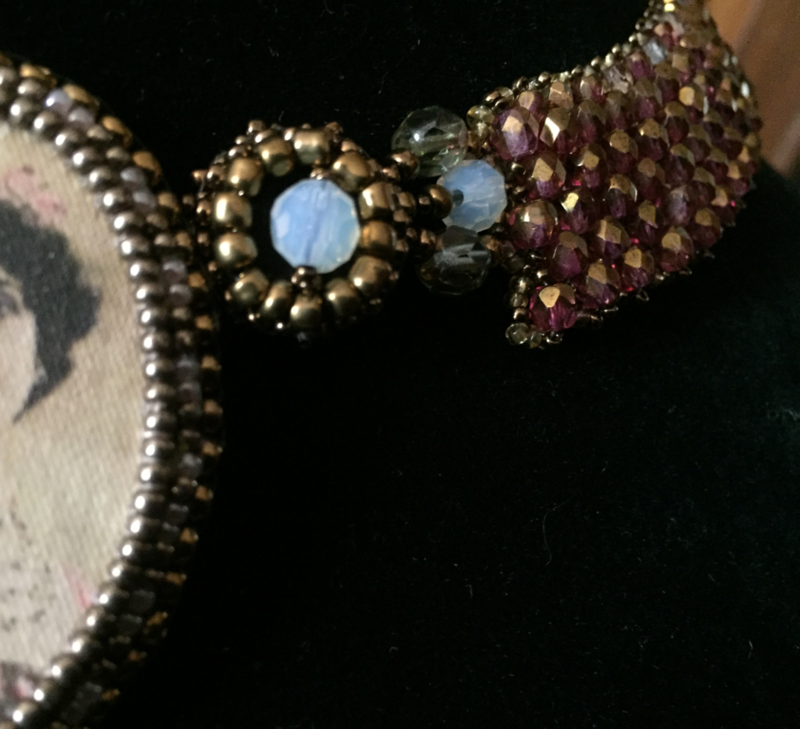 Many of the Collar pieces feature vintage elements, vintage crystals, and lovely hand made clasps. The Luscious Adornment range incudes Crystal Collars, bracelets and earrings each of which are sold separately, allowing you to mix and match to perfect your own look. ​This range will be released from September 15th and only available at Kirsty Alsopp's The Handmade Fair, on The Green, at Hampton Court Palace. 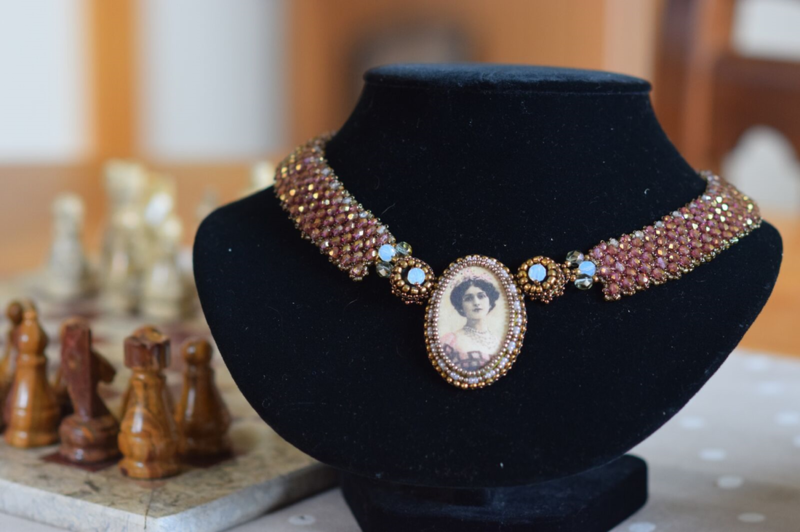 ​The removable clasp is a bead embroidered image of Lina Cavalieri, a beautiful Italian opera singer, described as 'the personification of Venus on earth', and one of the defining icons of the Belle Epoque era. ​Born on Christmas Day 1874, Lina was one of the most photographed faces of her time. The collar is made with wonderfully sparkly Czech crystals which catch the light and make the necklace scintillate. The Lina Crystal Collar can be worn long or short. Simply remove the magnetic 'Lina' clasp and wear as a shorter collar using the two hidden magnetic pads. 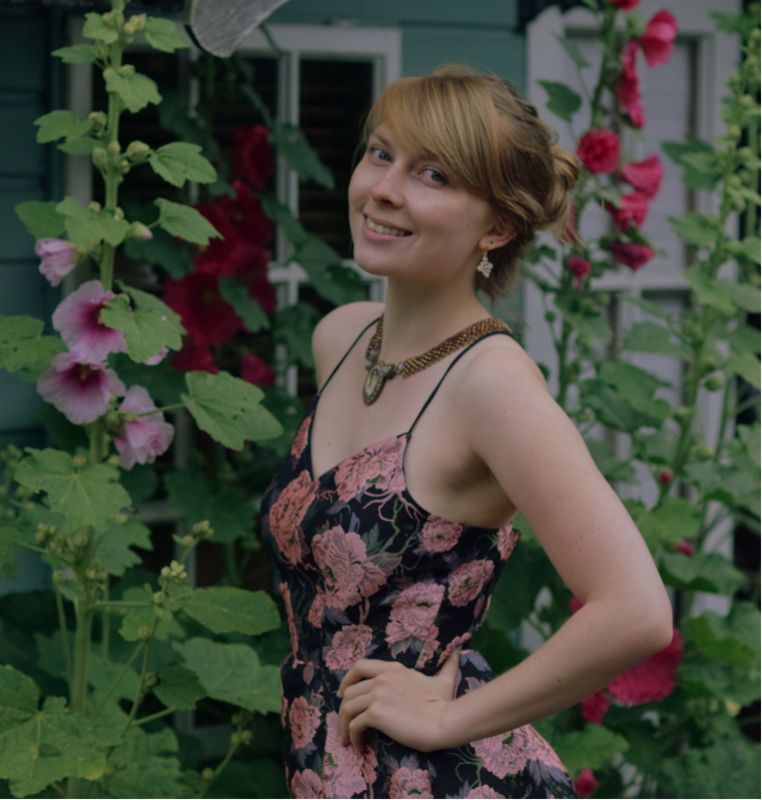 The Lina Crystal Collar is also very wearable during the day and is perfect for Summer cocktails and Race Day outings! ​The Lina clasp is completely removable. When removed, it reveals two little magnetic pads which become the clasp for the shortened collar. ​The Lina clasp has two hidden magnetic pads attached to either side of the pendant, allowing the clasp to easily be attached and detached.